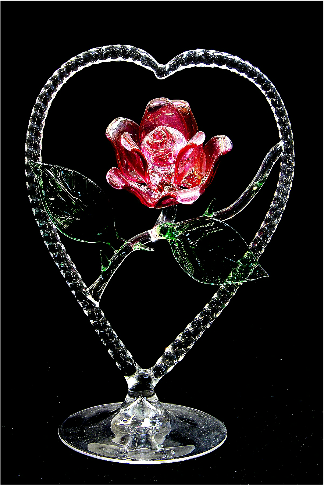 This Glass Rose in a Glass heart is an Ideal expression of Love love. The rose can be other colours, please email for some of the variations we do. The Rose and Heart stand approximately 6″high.